Sen. Ted Cruz, R-Texas, appeared at an Iowa Republican Party fundraiser Friday night and warned House and Senate Democrats that while they might have won on Obamacare, they will not win in next year’s midterm elections. Cruz said while Senate Democrats kept coming to together to strike down Republican backed budget proposal, those Democrats and their House colleagues who are up for reelection in 2014 have made themselves vulnerable. “I promise you, come October and November of 2014, we’re going to see TV commercials all over this country of Democrats who voted to give themselves a special exemption to Obamacare that their constituents don’t get and there are going to be some Democratic members of Congress and of the Senate who are suddenly going to be experiencing the joys of the private health-care system,” Cruz told the crowd at the GOP’s annual Ronald Reagan dinner. He reiterated speeches he gave at Texas Tea party rallies this week, claiming he’s not interested in being part of the club in Washington. He said if it weren&apos;t for Republicans who didn&apos;t stand by his side, the shutdown would have had a very different outcome. 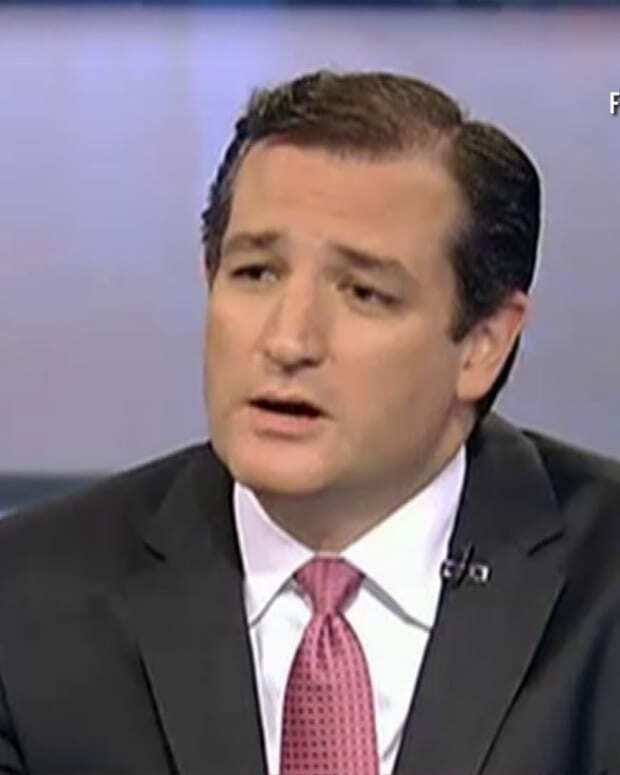 According to Moyers & Company, Cruz’s most recent crusade is against the Federal Communications Commission, which plans to take measures to better identify the organizations who fund of political ads.